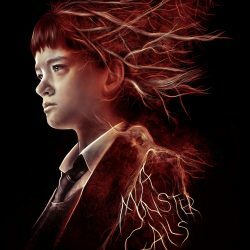 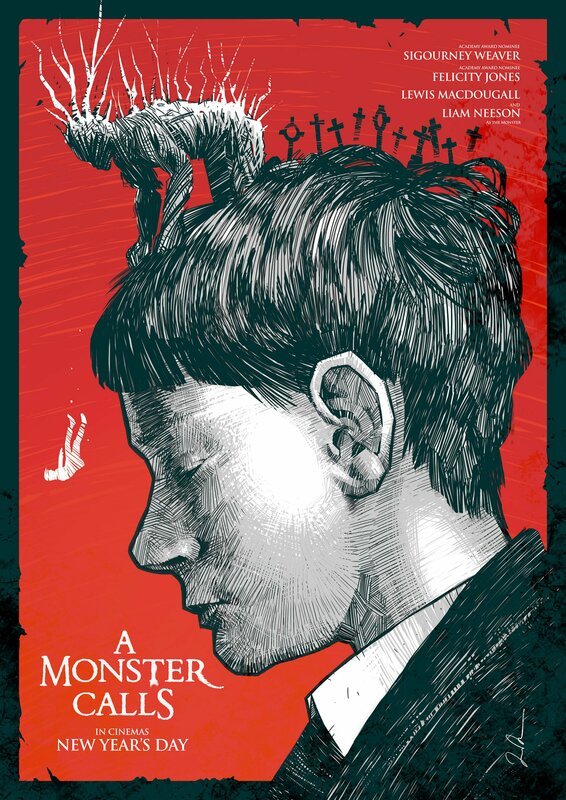 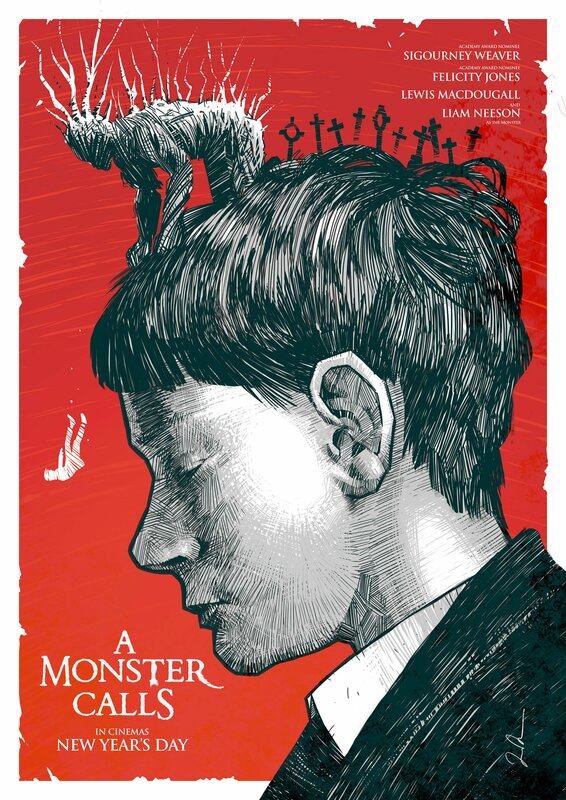 An alternative movie poster for the movie A Monster Calls created in Adobe Photoshop on a Wacom Cintiq 22HD. I have also included a second variant and my initial rough from my skecthbook. 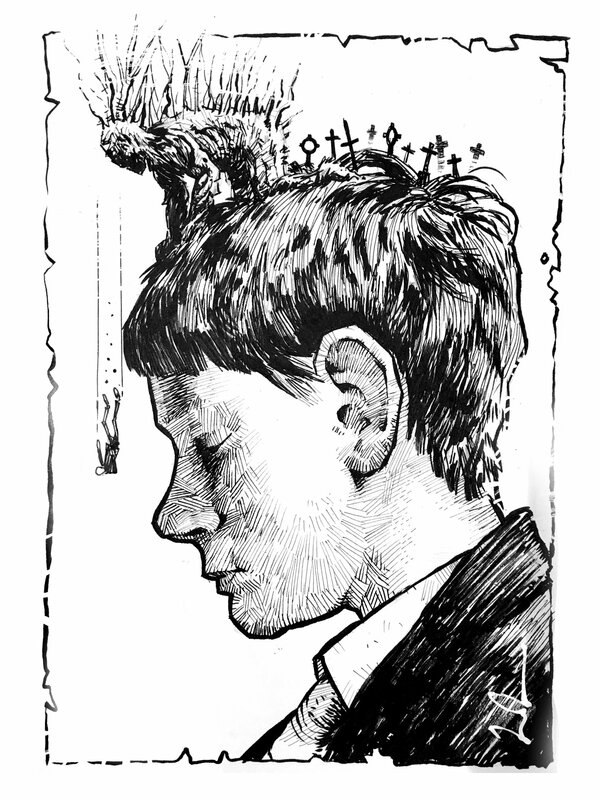 This was done with a brush pen.